Our impact is made when Indigenous Australians have more opportunity in home ownership, business success and investment gain—that is, they have more opportunity to build wealth and economic independence—than they did without IBA. Our performance reporting informs government, customers, staff and other key stakeholders about how we are achieving our purposes. The key reporting elements of IBA’s performance framework incorporate our portfolio budget statements, corporate plan, risk management plan, annual report and annual performance statements. 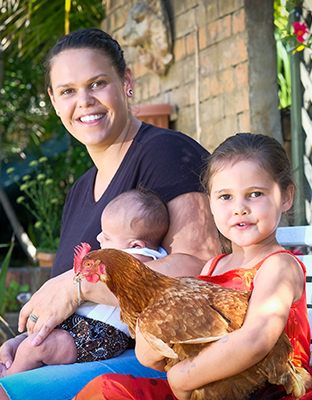 Our performance indicators measure the success of IBA in providing wealth opportunities to Indigenous Australians through assisting them in home and business ownership, as well as creating investment and employment opportunities. Where relevant, the performance measures relate to IBA inclusive of its subsidiaries and associates. The performance measures set out in our 2017–18 Portfolio Budget Statements are detailed in an appendix to this plan. A new framework is being developed to move from an activity-focused or output-focused approach to become more outcomes focused. As part of the new framework, there will be changes to how data is collected and what information is sought, from the customer perspective and the program perspective. While the focus is shifting to outcomes, some activity-focused targets will be retained, as they are still valid and important in measuring our performance of core functions. IBA tracks its performance and reports to the Executive Management Team on a monthly basis and to each Board meeting throughout the year. The frequency of reporting, together with qualitative reporting of performance, is designed to drive senior leaders’ engagement with and use of performance information. 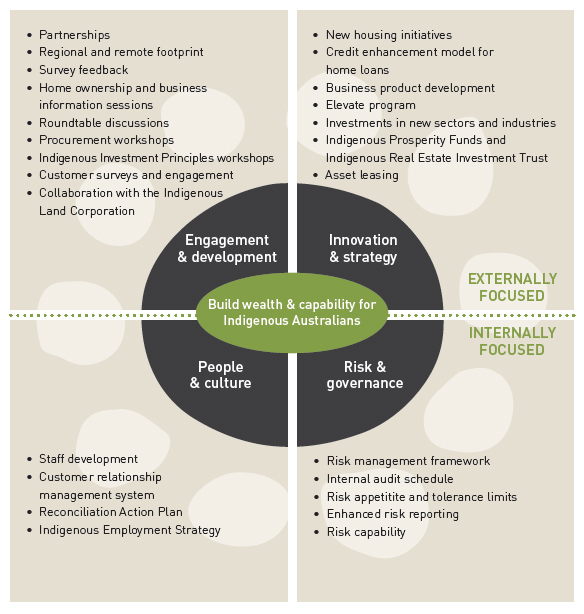 Across all that IBA does to build wealth and capability for Indigenous Australians, we engage and develop initiatives with customers and stakeholders, innovate in our products and strategy, invest in our people and culture, and align our risk management and governance with sound judgement. This is outlined in Figure 2. IBA provides access to partnerships and capability to assist Indigenous Australians to enter home ownership, develop their business success, and build their investment knowledge. We also support Indigenous Australians in regional and remote communities to overcome the barriers they experience in taking up such opportunities. With the Indigenous population growing at a faster rate than the non-Indigenous population, increasing the numbers of Indigenous homeowners and successful businesses is essential in order to move towards closing the gap in economic self-sufficiency between the two populations. IBA recognises our role in that imperative. Engagement with the relevant individuals, communities and organisations will help to raise awareness of what IBA has to offer. Through information sessions, training and workshops, IBA can assist Indigenous Australians to access the finance available to purchase homes and build their capability in business and investment. To take advantage of the Commonwealth Indigenous Procurement Policy, IBA is focusing on the support required to build the pipeline for start-up businesses and assisting established businesses to grow and diversify in order to access supply chain and procurement opportunities. These initiatives will have the combined effect of mitigating portfolio risk and ensuring that IBA is more effective in assisting the Indigenous business sector to grow. By following the framework set out in the Indigenous Investment Principles, IBA works with our investment partners to help them access sound financial returns. Build collaborative partnerships with key Indigenous organisations, corporate entities and non-government organisations that are aligned with IBA’s strategic focus. Implement relevant initiatives in response to customer surveys completed in 2017. Deliver information sessions to individuals, communities and organisations to build awareness of the opportunities provided by IBA loans and financial services. Hold roundtable with key experts across the spectrum of Indigenous, community and mainstream housing sectors to identify opportunities to improve outcomes for Indigenous Australians. Refine procurement workshops to support Indigenous businesses to take advantage of the supply chain opportunities created by the Indigenous Procurement Policy. Further rollout the business accelerator pilot program, which provides entrepreneurs with workshops and coaching opportunities to develop their business plans. Grow investment awareness among participants in Indigenous Investment Principles workshops. Develop engagement strategies with particular communities and businesses to support them with their employment and other economic development goals. Develop customer engagement mechanisms to build and provide evidence of continuous improvement in product development and support. Build a recognisable, contemporary and attractive brand that embodies our work and values and the aspirations of our customer base. Alongside the Indigenous Land Corporation, support commercial development of property on Indigenous-held land. When Brogan first decided that she wanted to buy her own home she did not have enough saved for a deposit. But by getting in touch with IBA early, she found help to set her goals and make a plan. She moved into her own home in July 2016. From having the big idea through to making it happen, IBA provides the right mix of products, services, advice, networks and capability to support Indigenous Australians to build their future. Whether it be in home ownership, business success or investment return, we have a vested interest in the success of customers. We provide support over the life cycle of a business to assist Indigenous entrepreneurs and business owners to build knowledge, gain greater skills and develop sustainable business models. In addition to providing business finance, IBA is constantly researching innovative ways to build capacity, develop capability and assist customers with activity related to specific industry sectors. IBA’s experienced staff are committed to working with customers through strong relationship management approaches. IBA invests together with Indigenous Australians in a portfolio that provides financial and social returns for Indigenous investors and their communities. The portfolio of sustainable investments— including direct investments, asset and funds management, and leasing—is diversified by industry and geography. These investments collectively benefit Indigenous Australians through the generation of financial returns, commercial capability, employment, training, and supply chain opportunities. Typically, alongside Indigenous co-investors and other third parties, IBA invests through a range of companies and trusts. Subsidiaries’ accounts are consolidated into IBA’s accounts, and details concerning each investment are included in our annual report. Initiatives such as the launch of pooled investment vehicles—including the Indigenous Prosperity Funds and the Indigenous Real Estate Investment Trust (I-REIT)—complement IBA’s other investment offerings, and enable us to support Indigenous groups to establish long-term investment portfolios. This in turn provides an economic base from which investors can partner with IBA to pursue direct investment, commercial property investment and local enterprise development. Foster a genuine culture of innovation, in which we can introduce new solutions across our areas of work. Look at new ways to facilitate home ownership and housing security, through a review of product and delivery options for supply, affordability and capacity. Continue to build a wider and more agile product suite to support Indigenous entrepreneurs from start-up to expansion, through training, business support, advice, mentoring, and enhanced financial products and services. Expand initiatives of collaborative spaces that provide a venue for Indigenous entrepreneurs to access hot desks and meeting rooms when visiting major cities, along with expanding access to business development support and building a professional network. Grow the Indigenous observership and leadership program Elevate, which launched in 2017, to provide emerging Indigenous leaders with mentoring and practical experience in business management and investment strategy. Grow the renewable energy sector strategy which provides opportunities for Indigenous communities and organisations to benefit from solar and other renewable energy development on their land. Scan new industries and sectors for investment and business development opportunities. Grow the assets under management and numbers of Indigenous investors in our managed funds. Introduce a structured, evidence-based approach to business and product development, in which we design solutions that are informed by the needs of Indigenous Australians, and in which outcomes (not just activity) are regularly measured and reviewed. Investigate potential enhanced models for credit provision, particularly by the private sector, for home loans. Undertake due diligence investigations into housing projects with Indigenous organisations which will provide transitional housing resulting in home ownership for their members. Build a portfolio of investments in the tourism sector which offer domestic and international visitors the opportunity to engage with and experience Indigenous cultures and peoples in an ethical, authentic and dynamic context. 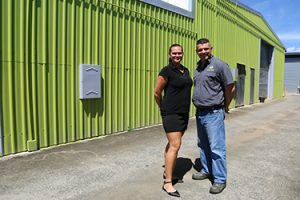 Tiarnie and Markus Mueller’s landscaping business, Outdoor Solutions, has gone from strength to strength. 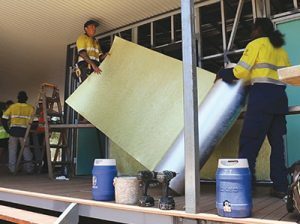 The Cairns-based business started with a domestic service offering and is now winning big commercial contracts. IBA will ensure that our capabilities match the needs of the services we deliver. We will align a skilled and adaptable workforce with the right level of capital investment in technology and information management. IBA will help to build the financial literacy of Indigenous Australians to ensure that they are successful in their aspirations. We want our customers to become self-managed, self-sufficient and self-sustainable, with the ultimate goal of achieving wealth, employment, and social and cultural outcomes. ‘Develop our systems and people to deliver our services to Indigenous Australians’. Our people are our best assets. The attraction, development, retention and performance of IBA’s staff are driven by our People Plan, which brings together key strategies including our Indigenous Employment Strategy, Learning and Development Framework, and Performance Management and Development System. Workforce planning underpins the development of these strategies, with IBA placing a strong emphasis on succession management to ensure that it has the deep ‘bench strength’ needed to respond to future business needs and that the right people with the right skills are ready to step into critical roles. IBA’s Information and Communications Technology Strategic Framework provides a clear focus on using ICT and information management to improve customer service delivery and achieve value for our investment. It aims to be adaptable to changing business needs and is premised on an approach of support and coordination across IBA, to maximise our ability to share expertise and fully capitalise on opportunities arising from emerging technologies. Leveraging integrated technologies will enable IBA to improve cross-program interaction and customer management. Promote continuous improvement in operations, including by looking for smarter and better ways to deliver our work by enhancing systems and processes and leveraging external expertise. Continue to develop and deploy IBA’s customer relationship management system to enable a more customer-centric approach. Develop a new Reconciliation Action Plan. Enact the initiatives of engagement, understanding and communication from the strategic plan developed by our Galambany Staff Network (IBA’s Aboriginal and Torres Strait Islander staff network). Engender a high level of professionalism, an outcome focus and a strong work ethic throughout the organisation, by recognising and rewarding success, and by establishing consistent performance standards for staff. Position IBA as an employer of choice with the ability to attract, retain and develop staff with the skills, commercial acumen, proactive approach and personal commitment to Indigenous economic development required to service our customers to the highest standard. Align staff development in terms of the needs of the business, including leadership, project management and career planning. Increase representation of Indigenous employees at all levels across IBA through our Indigenous Employment Strategy, including by investing in Indigenous graduate and intern programs to attract and develop new talent, and build a senior executive Indigenous capability through the launch of an Indigenous executive leadership development program in collaboration with the Indigenous Land Corporation. Ensure that IBA takes advantage of relevant emergent technologies to meet the future needs of the business. Due to the nature of IBA’s operations in the financial services sector, our portfolios naturally carry a degree of risk. This emphasises the need for IBA to focus on sound risk management in its decision making, to ensure the long-term economic sustainability of our customers and to maintain strong stakeholder confidence and trust. IBA undertakes a professional approach to managing risk in relation to our financial affairs, compliance and governance issues, and reputational and operational matters. In order to achieve our objectives and allow for innovation in developing our business strategy and delivering our equity and sustainable lending programs, we have a greater appetite for risk than a commercial lender would have. The IBA Risk Management Framework and Policy is designed to provide IBA with an integrated and structured process to identify risk exposures across all of our activities and to provide assurance that these exposures are adequately controlled and addressed. The IBA Risk Management Plan details the risk appetite statement, risk tolerance limits and strategic risk register. ‘Create a risk culture that drives sound judgement and value creation’. Review our Risk Management Framework and Policy and our assurance and internal audit schedule to ensure that they are suitable for the nature of our business and closely reflect IBA’s strategic and key risk areas. Review the risk appetite and tolerance limits—in particular, credit risk—to ensure that they align to IBA’s future lending focus. Enhance risk reporting at the Executive Management Team and Board levels. Embed a strong risk culture at all levels of the organisation in order to drive sound judgement and value creation through strategic decision making. Enhance risk capability, through targeted training. The I-REIT’s investments are managed by IBA Asset Management Pty Ltd, a wholly owned subsidiary of IBA. Since its launch in 2013, the net asset value of the I-REIT has grown from around $69 million to over $100 million.